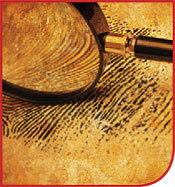 This course presents a survey of the most relevant and most important rules of evidence. Although an in depth knowledge of the rules of evidence is most important for a litigation attorney, a paralegal should also have a basic understanding of what types of evidence are admissible in court in order to be able to focus a pre-trial investigation in a manner that is likely to lead to the acquisition of admissible evidence. This course will focus on the Federal Rules of Evidence but will also note comparative state laws from time to time when they differ from the federal rules. Important areas of evidence law that the course will focus on include relevancy, character evidence, impeachment of witnesses, hearsay and the original document rule. Describe the policy reasons that are behind the various rules of evidence. Recognize which issues of evidence are decided by a judge and which issues are decided by a jury. Explain the burdens of proof that apply to various issues regarding various types of trials; including criminal trials, civil trials, evidentiary hearings, etc. Explain the relevant evidence rule and the important “catch-all” exception under Federal Rule 403. Analyze whether and to what extent character evidence and prior acts can be admissible in a courtroom to prove action in conformity with those characteristics. Describe the “original documents” rule and explain when and under what circumstances copies of documents can be admissible. Describe the rules regarding the extent to which impeachment of witnesses is allowed on cross-examination. The student should understand and be able to explain when evidence of prior crimes or bad acts of a witness can be used to impeach the witness. Describe the role of an “expert” witness and the added latitude expert witnesses get in terms of what they can testify to. Explain the hearsay rule and how it operates and be able to apply (although not necessarily memorize) the numerous exceptions to the hearsay rule as they apply to fact patterns. Describe many of the evidentiary privileges that are allowed under federal and state law.